Weather Info (monthly averages) Max Temperature: C / F Min Temperature: C / F The above data in our Weather Info table are temperature predictions for the date of the medical event for HERAKLION, Greece. 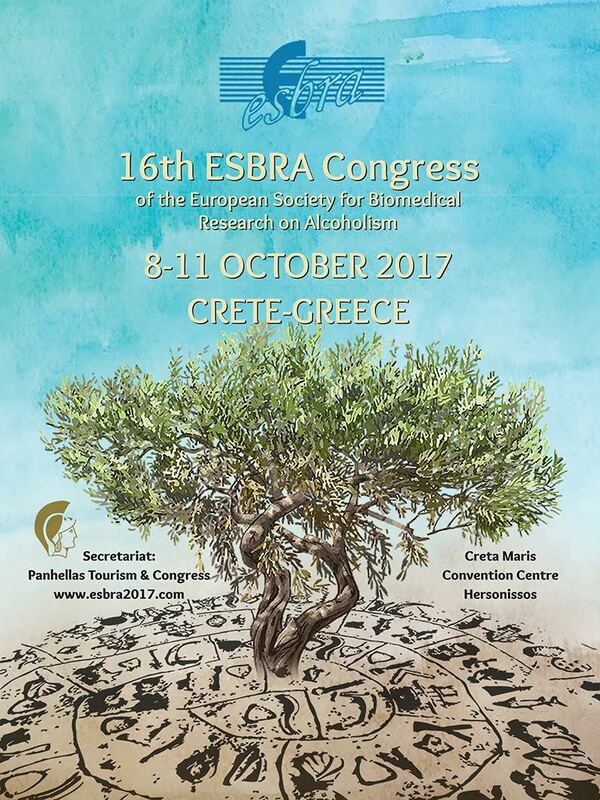 On behalf of the Organizing Committee of the ESBRA 2017 Congress I am happy to invite you to the 16th Congress of the European Society for Biomedical Research on Alcoholism which will be held in Crete. The congress will take place in Heraklion, Crete, during October 8-11, 2017. October is a great month for a Crete visit with wonderful weather, cultural activities and exceptional occasions for escape. The congress aspires to be an ideal place for researchers, clinicians, and students to interact and share ideas. The Organizing Committee of the ESBRA 2017 Congress expects to offer a platform for building European and worldwide collaborations and networks in the field of Alcohology. In the spirit of the above principles we hope to organize a scientific program that encourages the ignition of innovative ideas in a thoughtful and friendly environment. I look forward to welcoming you in Crete in October 2017! Only Microsoft Word files (.doc or .docx) are accepted and their name shouldn’t exceed 25 characters in length. all the information you may require.